Have you ever thought about the possibility that your most desired dream would become true one day? What would you do then? Azada- 4:-Elementa will give you the opportunity to get the answer. You’ve been chosen by Azada’s magic book as the one who will defeat evil in the name of Panoptes. Despite the fact that Panoptes is a successful businessman, he wants to enrich himself and gain power in the real world. That’s why he stole Azada’s elements: water, fire and air. The release of Azada 4: Elementa is expected very soon. 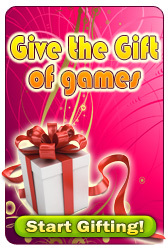 We are sure that many of you are familiar with the famous series of games titled as Azada. For poor informed gamers it must be interesting to experience Azada. It is the one of the best Adventure franchise. 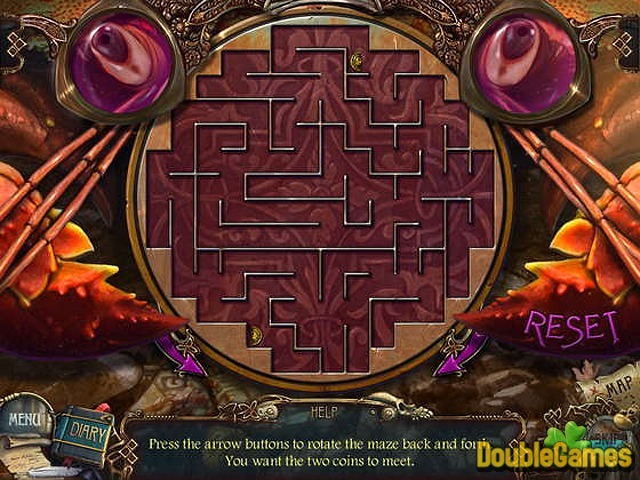 At least, the first and the second chapters developed by Big Fish Games Studios are considered to have an amazing success. The third one, Azada: In Libro, has passed into the hands of ERS Game Studios. The fanbase was afraid of the consequences. The date of release had arrived. 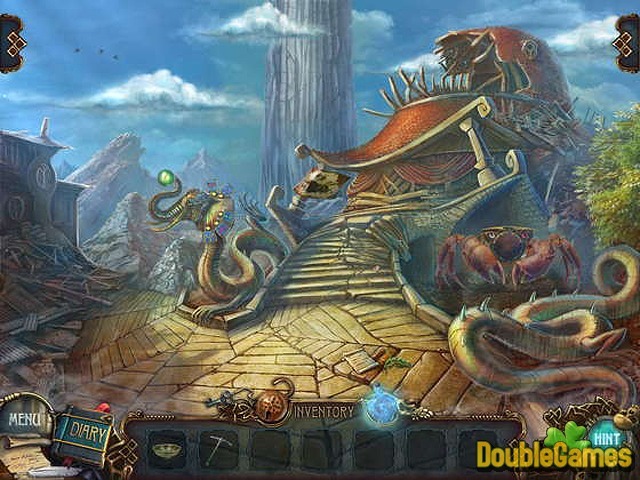 It turned out new developers decided to direct Azada toward Hidden Object genre only. It is small wonder because the radical changes are unavoidable in the event of a developer replacement. Anyway, the fans have divided into two camps: those who had peacefully accepted the new direction and those who was not OK with this fact. The fourth part of the story became available this month. Let’s see what we have got. Meet the new Hidden Object game named Azada: Elementa. As you can guess, the plot will be connected with the elements. The storyline includes the standard division between “good” and “bad” guys. You are the Good one, of course. Although it is such a pity that player is not able to choose the side he would like to stand for. In the process you will become acquainted with Titus – a strange character who will inform you that you are the chosen one. Your mission is to wrest Azada from the clutches of Panoptes – a main antagonist. The ruthless tyrant is supported by the force of the elements. The elements are under his control. So, your task is a tough one. You are followed by your own animal. He/she just plays a role of a nice companion. It is useless during the tasks, so no need to expect a some sort of help. Three worlds are given: Water, Fire and Air. The locations are huge and fascinating to explore. You are required to find the missing amulets of each element. You are offered to use an interactive map to ease your navigation within the game. It is quite useful! Inside the map you will see all the areas depicted in detail. Moreover, special markers point at your current tasks and your progress as well. As always, you can use hints to come out from the blind alley. Other obstacles, such as some spells, are easy to overpass by means of a Magic Water bottle. You can find it in the inventory. 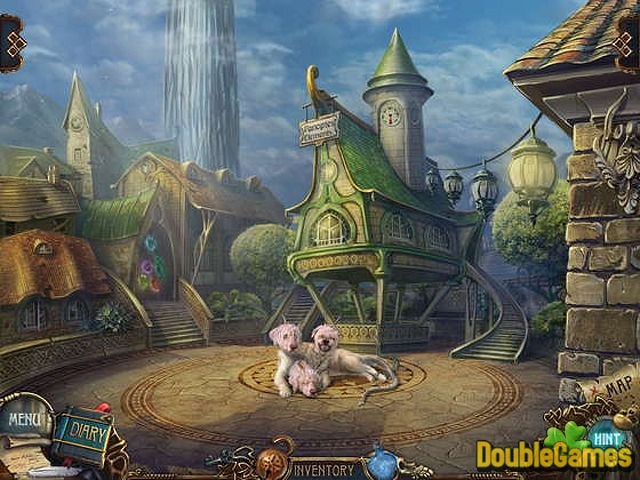 The Hidden Object scenes bring nothing new. After a while, searching slightly transforms into routine. The various Puzzles are also added. All we can say about these riddles is that you do not need to be a brainiac to crack them. The difficulty of Puzzles varies, but nothing really changes. However, puzzlers will be satisfied. The graphics is very attractive. It is the most advantageous aspect in the game. The developers show us the ability to create an outstanding imaginary worlds. As we have already been mentioned, there are three worlds with the big numbers of locations. They differs from each other. Characters and creatures are well designed. It is hard to explain how great the graphic part is. You should definitely try it! The quality of sound effects is average. The background music is undistinguished. However, the voices of some actors are annoying sometimes. In conclusion, we can describe Azada: Elementa as a well-managed catching Hidden Object game. Unfortunately, a miracle didn’t happen. It was expected, though. The gameplay of Elementa is the same as the predecessor’s one. If you are fond of the classic Azada or Azada: Ancient Magic, the new one, Elementa, will not open a new world for you. It is sad to see the potential remains unrealized.